Mio heart rate monitors (HRMs) are known for being able to give on-demand heart rate measurements without the need of a chest strap. Being strapless means that you cannot have continuous heart rate monitoring. 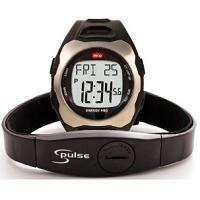 You need to put your fingers on the wrist watch sensors for a few seconds before it registers your current heart rate. For certain types of sport, this may not be possible, in which case your only solution is to get a heart rate monitor with a chest strap. However, for many sports, there are often short breaks between exercises when it is possible to stop for a few seconds to take your heart rate. In that case strapless heart rate monitors are just perfect. No chest strap means no possible discomfort. For many people it is well worth it. 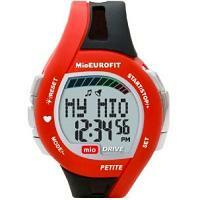 Furthermore Mio heart rate monitors are ECG accurate. This page has been extensively revised. Not only will you find the features of various heart rate monitors from Mio, but you will also find short summaries of user reviews, i.e. what users think of these models, both good and bad. Heart rate is measured on demand by putting two fingers on the wrist watch sensor. Result appears after 4-7 seconds. Stop watch (i.e. count up timer). Not suitable for small wrists. Some say they have to stop exercising completely to get a reading. It can take a while or multiple tries to read the heart rate. Some find that higher heart rates are difficult to measure. A tight, snug fit of the strap and some sweat are needed to give a reading. Not having to wear chest strap. Difficult to get a reading when running. Too big for a small wrist. Easy to use without looking at manual. Works fine while speed walking. Buttons need to be pressed hard. Takes a long time to get a reading. Possible to take readings anywhere and anytime as needed. 5 different kinds of timers to use. Wrist band / battery replaceable. It is a little hit and miss regarding quality. Some say it's difficult to take readings unless one stands still. Stylish and great for small wrists. Heart rate can be taken not just when exercising but also when doing household chores. 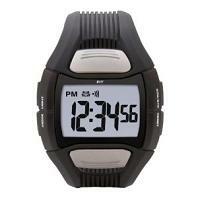 Heart rate monitor, watch, timers and alarm all in one. Difficult to take a reading while exercising or running. Easier to do so when standing still. Problems with readings when fingers are cold. Note 1: Please refer to the Mio Breeze page for details about Mio Heart Pro and Mio Heart Pro Petite. 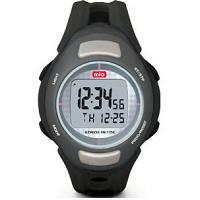 Note 2: The watch bands in the Eurofit series can be interchanged. Furthermore batteries are user changeable. Sweat can cause some problems. Pedometer not accurate calculating running distance. Chest strap not required is the main plus. Works well for walking with constant stride. Sweat causes problems with heart rate measurements. Calories are counted only if the pedometer is on. Not terribly easy to use. Pedometer not accurate when used for running. Heart rate on demand (strapless). Continuous heart rate monitoring (with chest strap). Choice of two monitoring options. Does not seem to record heart rate accurately using the chest strap. It continues to record time, calorie burnt etc after stop button has been pressed. To stop recording completely requires a reset, which erases all measurements. Quality can be a little hit and miss. Flexibility of using (or not using) chest strap. A number of users report that it does what it says it does. Screen seems to scratch easily. Quality issues: Two users mention that the touch plate has fallen off. Problems with screen and touch buttons. Heart rate is measured on demand by putting two fingers on the wrist watch sensor. Result appears after 3-8 seconds. It is OK to take readings when walking or jogging. Reasonably priced with many features. 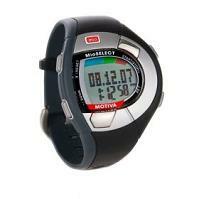 Compatible with the 3500 Calorie Club on the MIO watch website. Some report that exercising needs to be stopped completely to get a reading. Some units suffer from issues of random resets. Short battery life. Problems with replacing battery and getting the unit to work again. Quality of the watch varies. Small size suitable for small wrists. 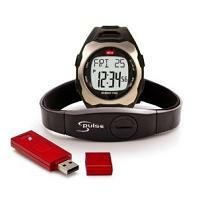 It tracks steps, distance, heart rate. One user reports that the calorie counter would stop constantly. Another says that, while walking, it is not possible to take heart rate and the pedometer does not work. Stop watch with lap/split time. Time, date, alarm, hourly chime. Comfortable with no chest strap required. Inconsistent readings reported by some users. Accurate compared to gym equipment. Easy to check heart rate. Size is great for smaller wrists. Not having to use a chest strap. Not suitable for high intensity exercises. Watch face is quite large. Sometimes it is difficult to get a reading. Note 1: Please refer to the Mio Classic Select page for the detailed features of Mio Lifestyle, Mio Walk and Mio Walk Pink. Mio Lifestyle comes with a bonus petite strap. Mio Walk and Mio Walk Pink both come with a bonus pedometer unit. Note 2: Most of the models in the Classic series are outdated. These include Mio Wave, Mio Sport, Mio Shape, Mio Shape Elite and Mio Ultimate models. 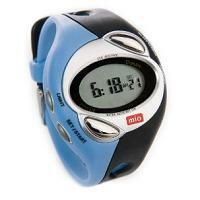 Please refer to the Mio Heart Rate Monitor (Obsolete Models) page for more details. Please visit Mio's official web site for more information.